A 3m-high metal fence will surround a free community festival in south London as part of terror safety measures. Organisers of the Lambeth Country Show in Brockwell Park said police advice and the current national terror threat contributed to the decision. There will also be a first-time ban on alcohol brought into the site and more stringent security checks. The fence, dubbed by some as the "Great Wall of Brockwell", has been described as "overkill". 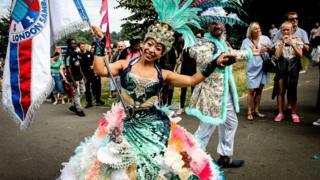 The event, now in its 44th year, annually attracts about 150,000 people to the park, which borders Brixton, Dulwich and Herne Hill. Brixton resident Jamie Muir said "properly-policed entrance points" would mean a fence wasn't necessary, adding that the new arrangements were "overkill". Dr Karen McCarthy Woolf also complained that a memorial bench for her baby son was blocked off by the fence. However, there were some residents in favour of the stringent security. Andrew Hetherington, from Brixton, said: "If the Met think it's necessary, the council can't really argue with them." Lambeth Council, which is organising the event, said stricter bag checks would be in place in addition to the perimeter fence. Charity group Friends of Brockwell Park said it was "deeply concerned" about the move, arguing long queues could affect families with young children, as well as old or disabled people. It also raised concerns over the potential for "dangerous bottlenecks". But a council spokesman said bottlenecks have not been a problem in the past and special accessible queuing lanes would be in place for families with young children and disabled people. Cabinet member for equalities Sonia Winifred told a council meeting earlier this month the decision to up security had not been "taken lightly" and followed "specific police advice and intelligence". Extra security measures had also been requested by the council's insurer, she said. The council spokesman added an adults fun fair had also been removed because police said these attract disorder.